Many Of You Have Asked Questions About Our Products That Need To Be Answered. Hopefully The Following Will Help Provide Additional Information. Q: Where does the urine go when I use the emptier? 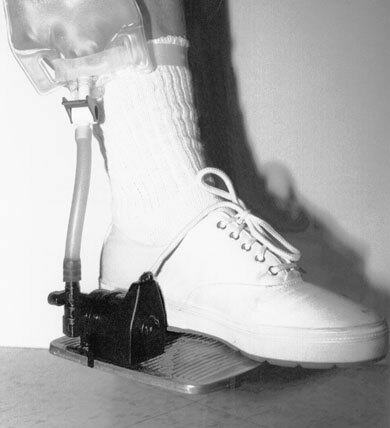 A: The urine empties through the lower barbed fitting, which projects through the foot pedal (standard emptier). The most common locations for emptying are the roll-in shower drain, the floor drain found in most public and office washrooms, a shallow tray placed on the floor of your washroom, On the grass...it actually makes it greener! . Q: How is the leg bag connected to the emptier?, the pictures really don't show it. Q: What size of tubing fits the emptier? 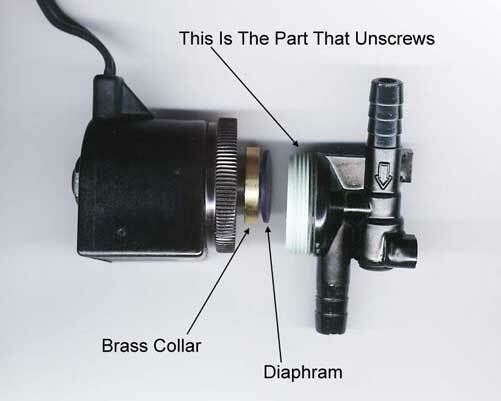 A: The outside diameter of the emptier fitting is 3/8 in., the inside diameter is 1/4 in. The common size tube used on most leg bags is 5/16 in. inside diameter, (shown above). This size fits tightly onto the emptier and will not leak. Q: Do I have to pay taxes on the purchase of the emptier? A: No. In Canada the emptier is GST zero rated and is provincial tax exempt. Q: Do I have to use anything special to clean the emptier? A: No. Clean water is what we recommend for a daily flushing. You can use a germicide or vinegar as long as you flush with water last. Vinegar will damage the diaphragm if left in the emptier. Chlorine bleach should never be used. Q: How do I take apart the emptier if it seems clogged and needs to be cleaned out? A: For the standard emptier, you simply unscrew the part with the barbed fittings. See the picture below. The mini's are a bit more complicated but essentially also unscrew.